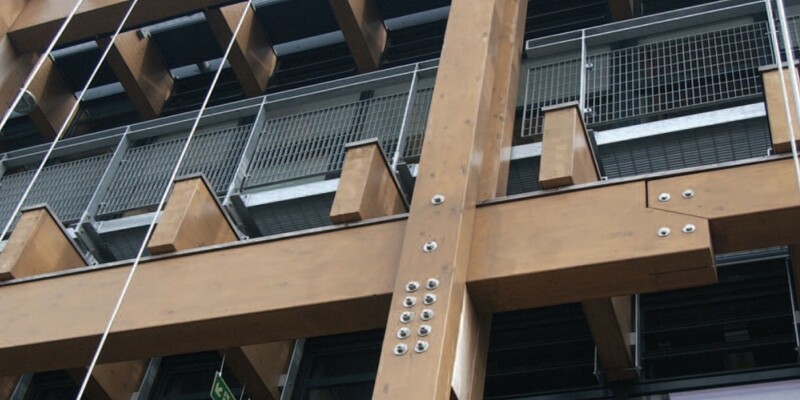 Sadolin woodstain products have been used extensively on an award winning school designed by the Richard Rogers Partnership. Mossbourne Community Academy is located on a brownfield site previously occupied by Hackney Downs School. When the old school was demolished, the local education authority and Hackney Borough Council sought a new structure that would provide a single aspect solution to the educational requirements of the community whilst at the same time, visually complementing the site’s hostile boundary conditions. a hardwood capping integrated into the timber assembly to prevent corrosion by standing water.